Our Redland Liberty Auto Center has been family-owned and operated since 1984. Today, the expert technicians working each bay remain dedicated to offering unparalleled customer service and automotive repairs. When searching for auto repair in Redland, MD, look no further than Liberty Auto Center. Many people don’t bother looking under the hood of their new vehicle, knowing it’s too intricate for them to understand. When you begin to hear a clunking sound or your fuel efficiency decreases, or perhaps when you start to smell gas in the cabin, you want the very best and most experienced professionals for the job. 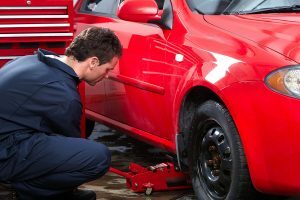 Our technicians who specialize in auto repair in Redland, MD have the industry experience necessary to complete each and every job, big or small. We get in, finish the auto repairs, and have your car or truck back to you in no time. When it comes to the price of automotive repairs, the cost will vary depending on the repairs required, the make and model of the vehicle, and the time spent fixing the problem. However, we can guarantee that we will always offer you a comprehensive estimate of all work we intend to complete. Our estimate will allow you to look at your budget and plan ahead. We highly recommend not waiting to complete the repairs. The longer a problem sits in your engine, the more damage it can potentially cause. Your vehicle should be an investment that you care for. Redland, located in Montgomery County, is a relatively small town with just over 17,000 residents. The neighborhood is quite influential, with a median household income of around $80,821. People here love to dine out, and we have numerous eateries to enjoy. Some local favorites include Outta the Way Café, Juanita’s Restaurant, and Sam’s Pizza, Subs & Sandwiches. There is nothing better than local fare. To schedule auto repair in Redland, MD, call Liberty Auto Center today at 240-912-5625. We can work with your schedule to complete all repairs promptly.